Once again, Thanks Barrie Fitzpatrick for these great photos . 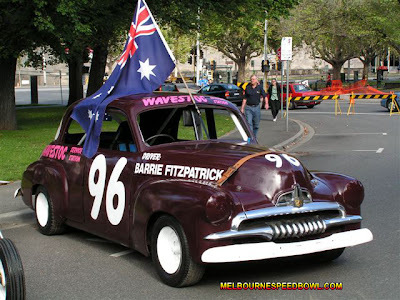 This car is a replica Barrie built of his original FJ Holden race car. The replica #96 #96 On display at an Australia Day show.